discerning Restaurateur or Wine specialist. These are all wines with a story to tell – stories that resonate with fine food provenance. This pronouncement was made in this month’s DECANTER Magazine about Pierre Gimonnet & Fils Special Club Millesime de Collection Blanc de Blancs 2008. Although the 2008 is no longer available to us, the 2009 Vintage is shaping up to be just as good, and is available in limited quantities from Honest2Goodness Wines! Here’s more of what Decanter had to say: ‘A beguiling transparency of pure acid drive propels an incredible finish that splashes long and strong with breathtaking, scintillating, crystalline minerality. This is a cuvee of effortless poise and boundless energy. H2G have been importing Gimonnet since 2014. The wines are produced from grapes grown on the 28hA vineyards in Premier and Grand Cru sites in the Cote de Blancs area of Champagne, with much of the vines planted over 40 years ago. The wines are intense and rich but yet also fresh and well-balanced – and they are exceptionally well priced for their quality. Gimonnet Special Club Vintage 2009 Champagne €78.00 (this is the newer vintage of the wine in the Decanter Article). WHOLESALE Customers – please contact us for pricing. ‘Beautifully pure, floral nose and on the palate, nuances of stone-fruit, acacia, brioche and an underlying minerality, with a long crisp, nutty finish’. We recently travelled to Prowein and Vinitaly Wine Fairs to ‘recruit’ some new wines to expand, improve and freshen up our wine portfolio. One of the highlights for me was meeting the Sales Mng from Estate Argyros a top producer from Santorini in Greece famed for its dry and mineral scented white wines made mainly from the Assyrtiko grape. What we didnt realise is that the same grape varieties can also produce amazing sweet wines, the best of which can outshine their Tuscan counterparts. The dry wines we already import have lots of complexity and freshness – they are also fabulous food wines and cellar really well giving masses of pleasure years after the vintage. We met Stefanos on the Sunday afternoon in Prowein and I was impressed with his total professionalism and enthusiasm; he is a great ambassador for Argyros, Santorini and Greek Wines (a wine producing country on the up and one to watch). 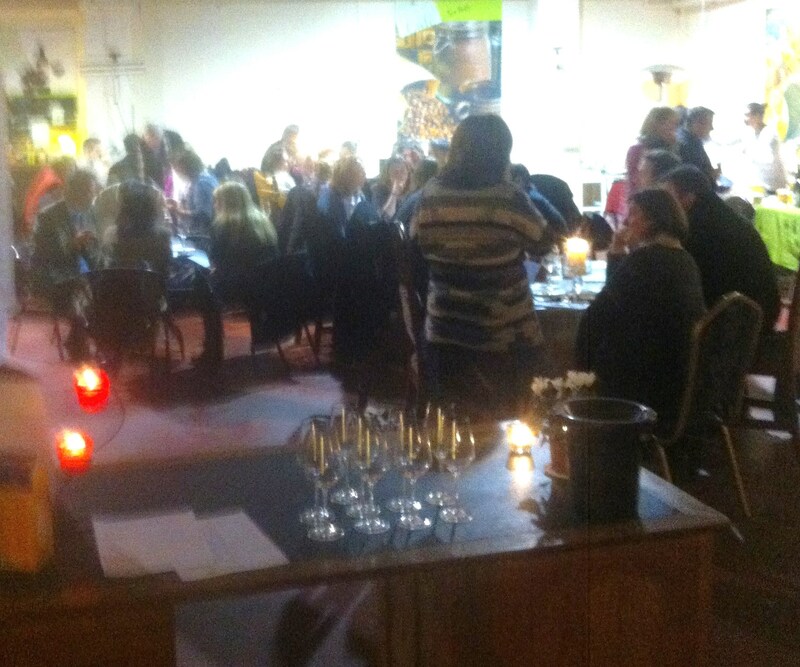 We tasted the new vintages of the dry white wines and as usual they didn’t disappoint. He asked myself and my colleague Kenny to taste the VinSanto’s and I was thinking of saying ‘hard sell etc etc’ but happily I said ‘yes lets have a quick taste’. Stefanos seemed really proud of these wines as the VinSanto tradition goes back to the 8th century. The explosion of flavours on the palate on these sweet wines was amazing. The wines are made from the same white grape varities but picked very late and aged in bottle the wines turn a copper colour. The intense caramel, toffee and cooked fig flavours are balanced by an incredible acidity that keeps the whole thing fresh. The best bit is that saline acidity remains giving the whole wine a great kick of salted caramel! ‘Nichy’ and hard sell they might be but they will definitely be making their way to these shores on our next order! 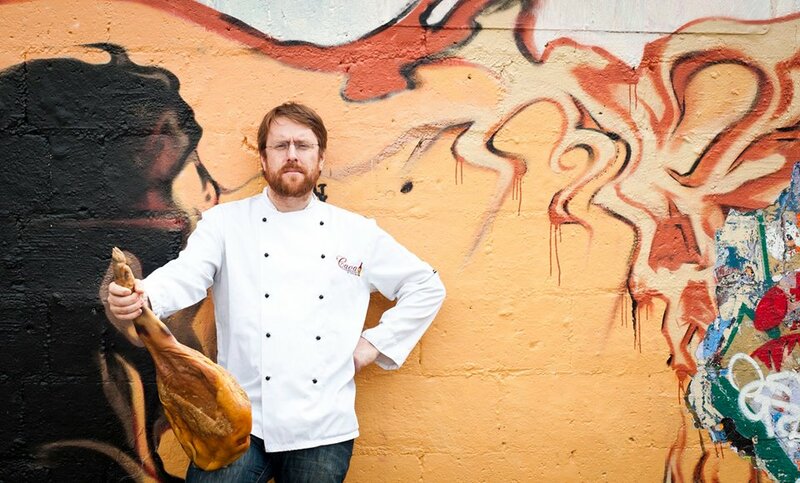 We are delighted to be hosting a 6 course ‘Nose to Tail’ Dining Experience with JP McMahon who runs Cava Bodega, Aniar (Michelin Star Restaurant) and Eat Gastropub in Galway . The event will take place in the Honest2Goodness Market Cafe in Glasnevin on Thursday September 25th. Featuring Rare Breed Pork from The Whole Hoggs free-range farm in Slane, Co. Meath dishes will be paired with matching wines from exclusive wine producers across Europe. Experience cooking skills and techniques JP and his team have honed in his top class restaurants paired with the fantastic flavour from Rare-Breed , hand reared Tamworth Pigs. The event will be hosted in the quirky but convivial surroundings of the Honest2Goodness Market and Cafe which hosts great local producers every Saturday. Numbers are restricted to 50 people so advanced booking is essential! So many restaurants and wine bars now offer a charcuterie or cheese platter, and what could be nicer than a sharing platter of lovely artisan products, with a couple of glasses of wine? 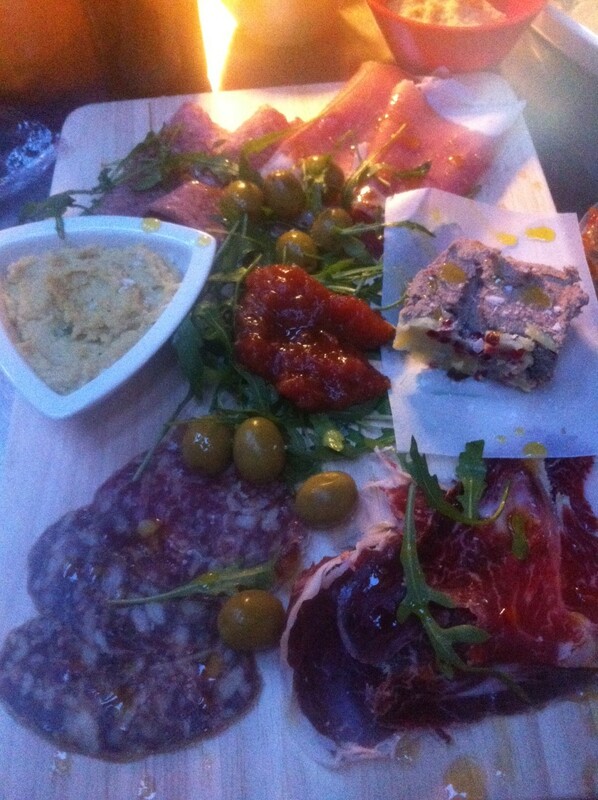 But, what to match with those various porky, spicy flavours, alongside hummous, olives, even pate and cheese? Our advice is to go for red wines that are medium to full-bodied, for example – in Spain, the tempranillo grape is a good option, but go for a Rioja, not something as full-bodied or intense as a Toro or Ribero del Duero, which could overpower the food. At a recent wine and charcuterie evening hosted here at H2G, we opted for Corral de Castro, mainly Tempranillo but with some Cabernet Sauvignon blended in there. The wine is lovely and fresh, due to it being grown at high altitude in the Alpujarres in Granada, and it worked really well with the charcuterie from Black Pig in Donnybrook and our own local Whole Hoggs charcuterie. If you fancy something French, then Bordeaux should work well. A blend of Merlot & Cabernet Sauvignon (typical in the Right-Bank area of Bordeaux) should be just the ticket. We used our Chateau Lamartine (Cotes de Castillon, Bordeaux) at our charcuterie evening, and it and the spicy salamis went together beautifully. It also works extremely well with the more mature hard cheeses that can appear on charcuterie platters. If your wine of the moment is Italian, then we would suggest something from Abruzzo, typically made with the Montepulciano grape, or a similar wine from its neighbour Rosso Piceno. And of course wines made from the Sangiovese grape (such as a Chianti) will also work well. Our friend Luigi Valori makes wonderful Montepulciano d’Abruzzo, so we chose his wines to go with our charcuterie platters. Looking to match wines with Cheese & Chocolate? At Honest2Goodness Cafe, we recently hosted an evening of Wine, Cheese & Chocolate Tasting, where 50 enthusiasts gathered to taste, savour and enjoy combinations of these three wonderful products. These were our recommendations on the night, which all went down very well indeed! 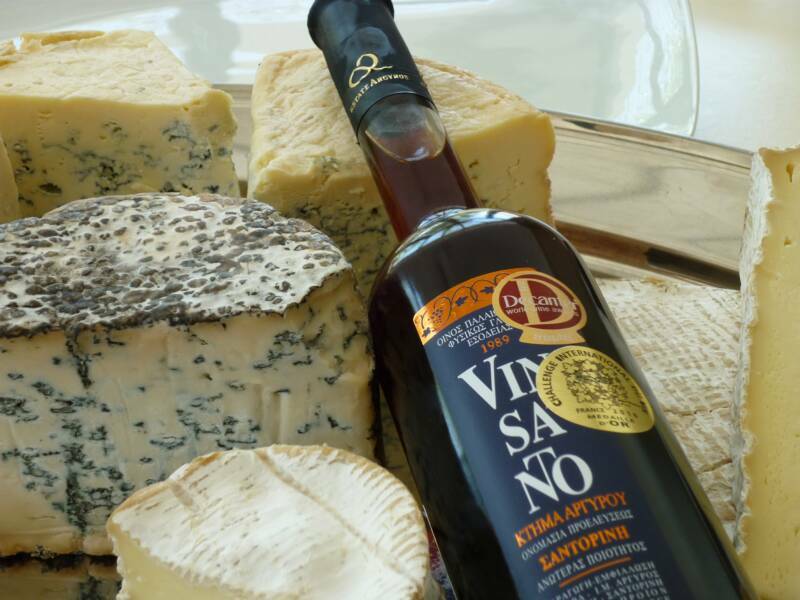 All of these wines, chocolates and cheeses available at Honest2Goodness Market every Saturday… and since that tasting evening, we have added even more with the arrival of Dovinias chocolates with their amazing flavours! Crunchy golden honeycomb pieces in smooth Belgian dark chocolate. Savour the flavour of coffee and roasted hazelnuts. The cacao used is raw, organic and ethically traded from small scale producers in Peru, coming from the criollo variety, known as “The Queen of Cacao”. A very dark bar with 85% cocoa solids, especially suitable for diabetics. The cacao used is raw, organic and ethically traded. Organic goat’s cheese rolled in traditional food grade ash. The ash slows down the development and maturation of the cheese and after a few weeks of handling, an elegant, smooth textured and full flavoured cheese emerges. Hard cheese made from unpasteurised cow’s milk.Smooth, mild and slightly salty with a subtle sweet nutty overtone. Reminiscent of Comtè, Gruyére, Beaufort. Organic cheese made broadly in the gouda style. The cheese is made with vegetarian rennet from pasteurised cow’s milk. Zingy aftertaste, crystalline texture and a distinct nutty taste. Semi-hard cheese made from pasteurised sheep’s milk. Firm and compact consistency and a buttery texture. The cheese has a distinctive flavour, well developed but not too strong, creamy with a slight piquancy, and leaves an aftertaste that is characteristic of sheep’s milk. Semi-soft blue cheese made from pasteurised sheep’s milk. When young, the cheese is firm and crumbly, and at around six weeks has a tangy flavour. As the cheese ages it becomes creamier, developing a fuller flavour. Now, many people will ask, sure what is all the fuss about, wine is a luxury item? That kinda misses the point – WINES ARE A PRODUCT SOLD BY BUSINESSES – 99% of wine businesses (importers/wholesalers/retailers/restaurants/wine bars) started business without any state support whatsover to get up and running, mostly family businesses and SMEs – the so called backbone of the economy that the various Government spokespeople say are critical to Ireland getting out of the economic mess we are in.